Even though the name of the camp is Maine Fiddle Camp, you can sign up to learn wooden flute or pennywhistle with “no strings attached”.. This year Sharon and Sandy will be teaming up to offer instruction at all levels, and you don’t even need to bring an instrument, since pennywhistles will be available at camp. Finally, since Fiddle Camp is located on True’s Pond, Sandy also reminds us that the whistle is one of the few instruments you can take swimming with you!! Sign up here. 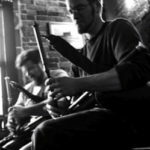 Darryn Petersen began playing the whistle and uilleann pipes twenty four years ago, after being inspired by a Seamus Ennis album he bought on a whim. His first lessons were with Jim Daily and the St James The Great chapter of Comhaltas Ceoltoiri Eireann in Glasgow, Scotland, and then with All-Ireland piper Patrick Hutchinson in Providence RI. He is greatly interested in the musical styles of the great pipers of the early and mid twentieth century, such as Seamus Ennis, Tommy Reck, and Willie Clancy. Although his day job restoring Maine’s early homes keeps him quite busy, he still finds time to haunt local sessions, and particularly enjoys sharing tunes with Fiddle Camp instructors Tamora Goltz, David Stimson, and Sharon Pyne. 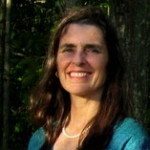 A trained teacher, Andrea Cooper has taught everything from computers to clawhammer banjo. Andrea caught the Irish music bug while she was living in Toronto. Since then, her tin whistle teaching and playing has taken her to places as far as Eek, Alaska and Weiser, Idaho. 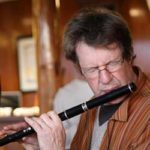 Andrea was the resident tin whistle teacher at Randal Bays' Friday Harbor Irish Music Week in the Pacific Northwest for 7 years where a student described her classes as “the icing on the Jackie Daley cake”. 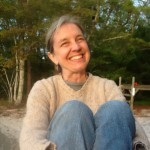 Andrea has been on staff at various music and dance camps including Pinewoods and Algoma Trad. She is thrilled to be back at Maine Fiddle Camp. Mark Roberts has been part of a number of groundbreaking bands in traditional music including; The Red Clay Ramblers, Touchstone, The Sevens, The Clayfoot Strutters and Childsplay. 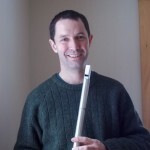 His flute and whistle playing also features prominently in the soundtrack to John Sayles’s film The Secret of Roan Inish. Mark can be heard on numerous recordings including his duo recording with Dan Compton, The High Caul Cap. Mark is excited to be helping out with the whistle class at this years MFC, you can also find him and his mop in the dinning hall after lunch, don’t worry there are plenty of mops.